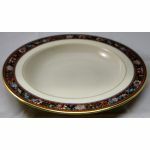 This Witherspoon pattern was manufactured for seven years by the Lenox China company, based in the USA. 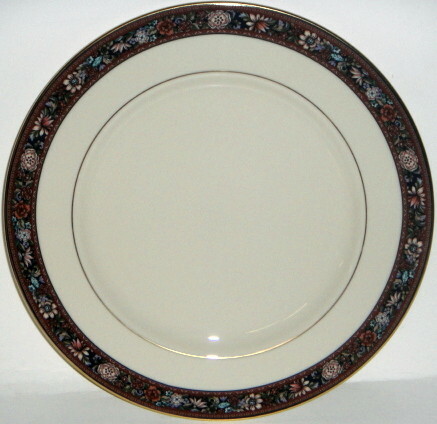 The discontinued Lenox Witherspoon pattern is geared more towards the holiday & fall season by its design. 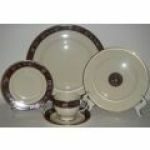 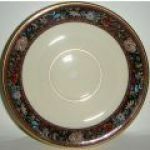 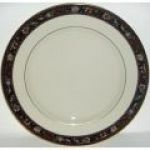 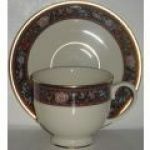 The Witherspoon pattern has a beautiful & muted design of colors in its rim & the classic Lenox cream colored background. 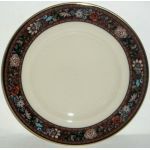 The fall leaves & colors on the Witherspoon pattern make it perfect for a holiday like thanksgiving & is sure to enhance your thanksgiving table greatly. 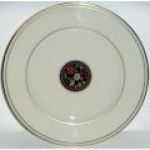 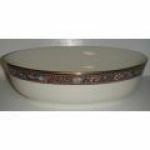 Lenox employs a center design on the Witherspoon salad plate that we find on several other patterns by Lenox & other companies like the Royal Doulton Biltmore pattern & the Lenox Hartwell House pattern which makes it stand out a bit from the crowd. 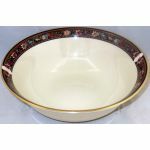 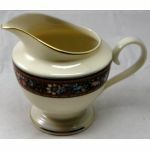 Although the Lenox Witherspoon pattern was only manufactured for seven years we still see a strong demand for it which is odd, as most pattern that stay in strong demand where usually made for a longer period of time giving more time for people to access it. 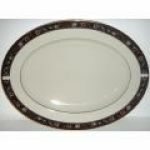 Our favorite Lenox Witherspoon pieces are the oval vegetable bowl as well as the salad plate.